Juat a short post for monday. 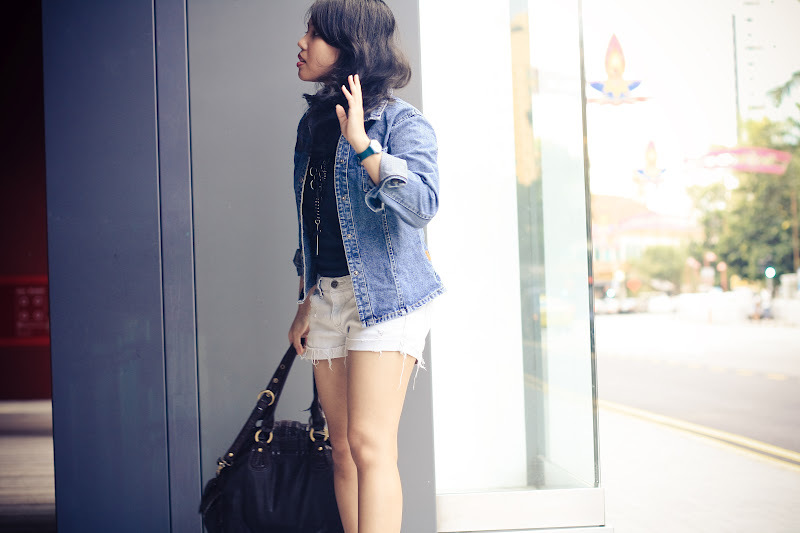 Wearing casual denim outfit for a typical day to college. unbranded denim jacket. unbranded black tee. Forever 21 shorts. Mitju black loafers. Jasper Conran bag. Forever 21 chain necklace. Swatch watch. 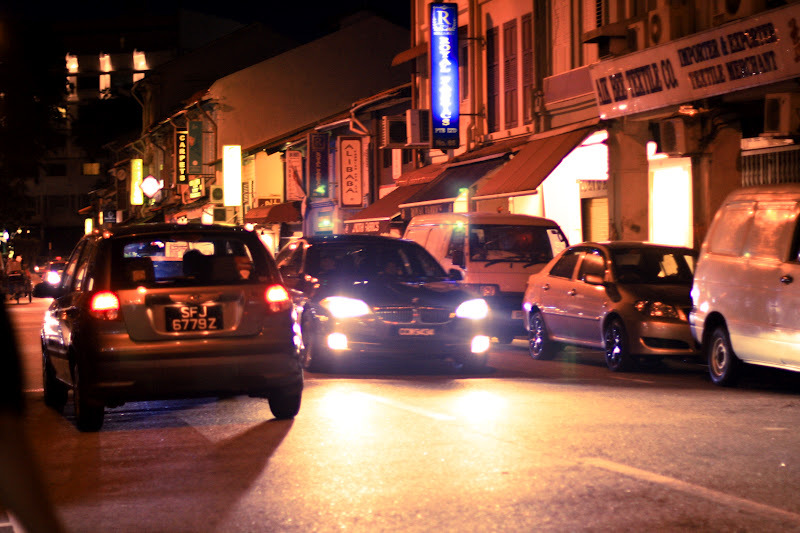 then walked down through Arab Street and Haji Lane for a photoshoot reccee with my friend. Then we found this cupcake and cake shop called My Fat Lady. This little shop tucked in Haji Lane, has lovely decoration featuring illustrations on the wall. We tried their red velvet cupcakes, it is moist with the right dose of sweetness, i love the frosting much! They also accept special order cupcakes and cakes for birthday and events. Heard that they have the new rainbow and blue velvet cake as well. Shall try the next time i drop by! you look so cool with denim. Very cute denim jacket. 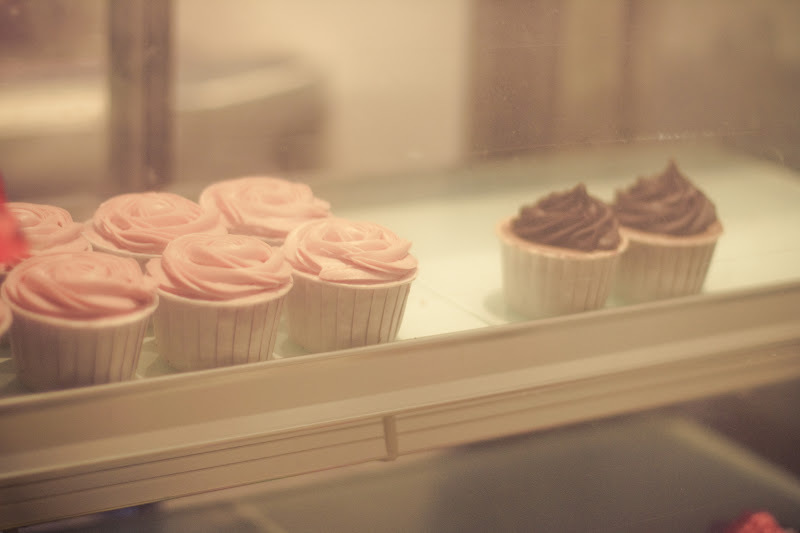 And yummy looking cupcakes mmm. very cool and cute outfit Henny :) and aww what cupcakes! 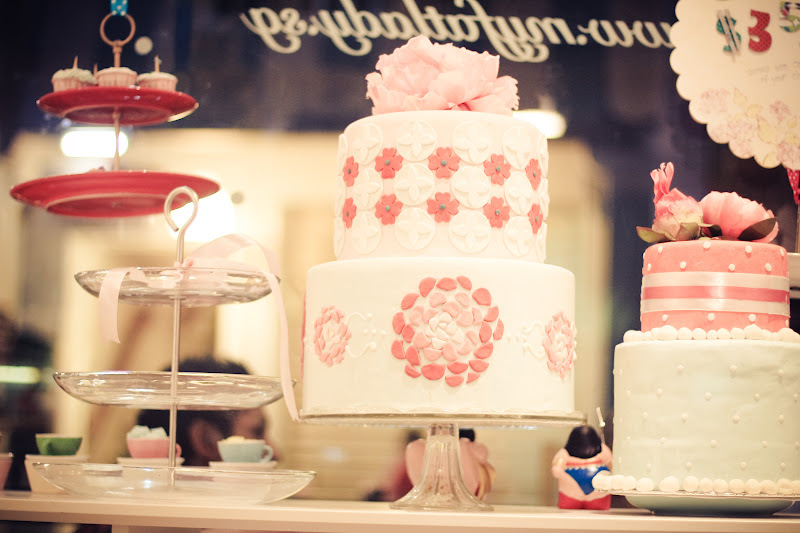 What a great name for a cake shop - those cup cakes look yummy! Love your loafers. Love the denim look on you! Sounds like those cupcakes taste as amazing as they look... yum! Love your take on double denim! I've always loved denim on denim and you pulled it off perfectly. Also those cupcakes look delicious! love the outfit, casual yet chic. also, TY for following my blog. &i have been trying to follow you on GFC using the navigation/link on your blog and its not letting me at this moment. ill try coming back later again to see if it works then. great blog! love ur pics! And your denim outfit is very cute! i love your shoes! lovely look :) and do you go to college in singapore? I love the necklace - it just brings a really casual outfit into fashion territory! I love your denim jacket! Drooling over those cupcakes! you look awesome on denim. I have to say that your hair looks beyond gorgeous in these shots. Absolutely flawless. Love the denim jacket, too. You can't go wrong with one. Thanks for stopping by and your kind words. You look classic here with the khakis and denim. What I would give to be able to throw on my denim jacket but it is crazy hot here! heey thank you for commenting on my blog :) would you like to follow each other? 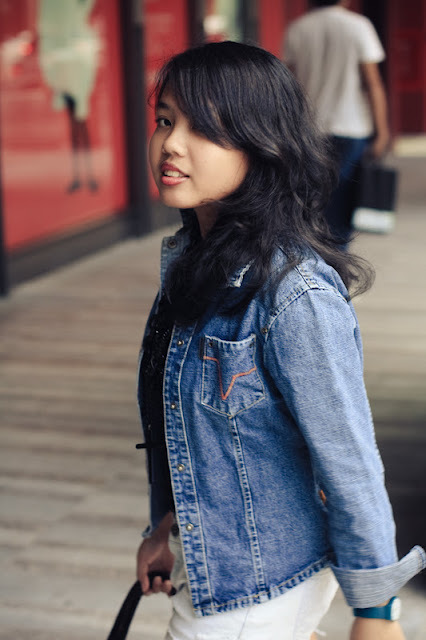 I love your denim jacket, I need to get one...! 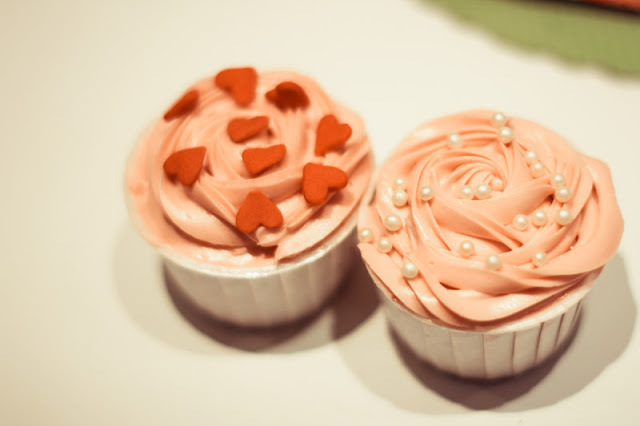 And the cupcakes look like art, they're so adorable. I love denim on denim loos, especially when it's blue & blue or blue & white. The cupcakes look absolutely yammi! thank for the sweet comment..
oh denim never looked better darling;) i love especially the jacket! you have really great style! Very cute! I really like your blog, thanx for commenting on my blog! I hope to see more of you soon! Can't wait to read your next post.. Keep your chicness, Fhenn! Great look dear!!! 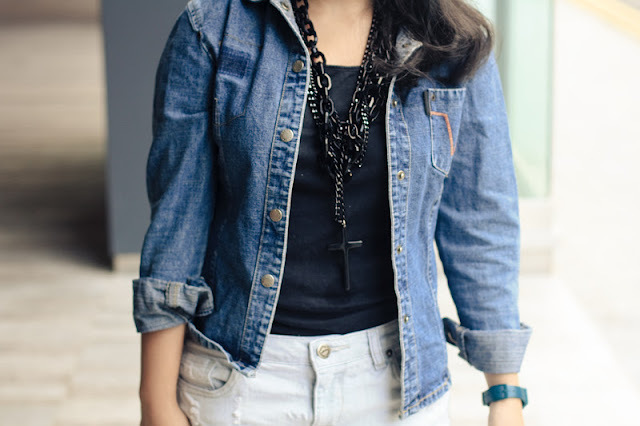 Always love denim look!!! 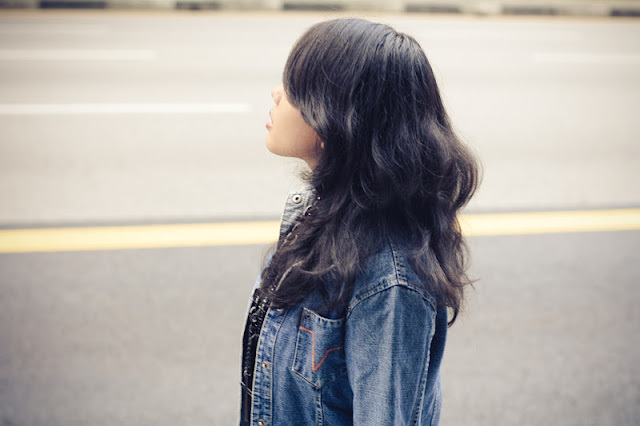 Love your denim jacket ci fhen!